When it comes to being an effective leader, your success may depend more on your EQ than your IQ says Prof Prakash Singh – the recipient of a prestigious award for Research Excellence from Nelson Mandela Metropolitan University. His research has delved into the importance of emotional intelligence (also known as emotional quotient or EQ) and not just intellect (IQ), when it comes to successful leadership in schools and other environments. A personal philosophy to push boundaries, question the norm and constantly ask how situations can be improved has led to a wide range of research interests for Singh, a professor of advanced studies in education at NMMU. He has developed a number of innovative theories and models – and even coined a new word “tobephobia”, which he defines as the fear of failure educators and learners feel in an education environment which is frequently changing. His research on EQ culminated in the publication last year of the book “Principal Leadership”, which he co-authored with two of his former doctoral students, Alexander Road High principal Dr Peter Manser and NMMU lecturer Dr Chris Dali. Singh, 59, who has a C3 research rating from the National Research Foundation, says effective team leaders should have “binocular vision” with equally-high IQ and EQ, the latter demonstrated through one’s capacity for empathy, trust, relationship-building, self-control, adaptability and level of optimism, among others. While his work on EQ focuses specifically on principals and other leaders, he hopes to investigate the concept among learners as well, or more specifically, to what extent new school curricula take learners’ EQ into account. But this will not be his only research linked to new school curricula. He has researched the implications of introducing new curricula– and has coined the term “tobephobia” to describe the fear of failure teachers feel when faced with change in the classroom. “I coined the word a few years back when outcomes-based education (OBE) was introduced, and teachers were not adequately trained to implement changes in the curriculum.” OBE has been replaced by other curricula over the years – the latest being the Curriculum Assessment Policy Statements (CAPS). Beyond the realm of education, Singh has also developed a human resources development model based on EQ principles. A variation of the traditional “SWOT” model, which takes into account strengths, weaknesses, opportunities and threats, Singh’s “SWEAT” model adds expectations, ability (IQ and EQ) and tension in the environment – monitoring how these impact on an individual’s level of achievement. Singh, who started his career as a commerce teacher, obtained his Bachelor of Pedagogics (BPaed-Com) at Durban-Westville University (now part of the University of KwaZulu-Natal). While teaching, he obtained his B.Ed, M.Ed and a diploma specialising in media-based learning. He moved to Port Elizabeth in 1985 as head of the department of commerce at Woolhope High, and simultaneously enrolled for his D.Ed, focusing on self-regulated learning, at the then University of Port Elizabeth. 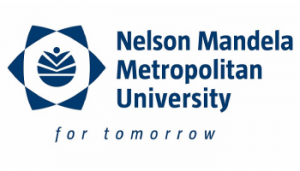 He moved to the former Vista University as a senior lecturer in 1993 and then to NMMU in 2004, following the merger between UPE, PE Technikon and Vista. He published his first book “Innovative strategies to develop better schools” in 2010. Over the last year, in addition to his book, he has published 12 articles in national and international journals, and was awarded best paper at a conference in the United States.